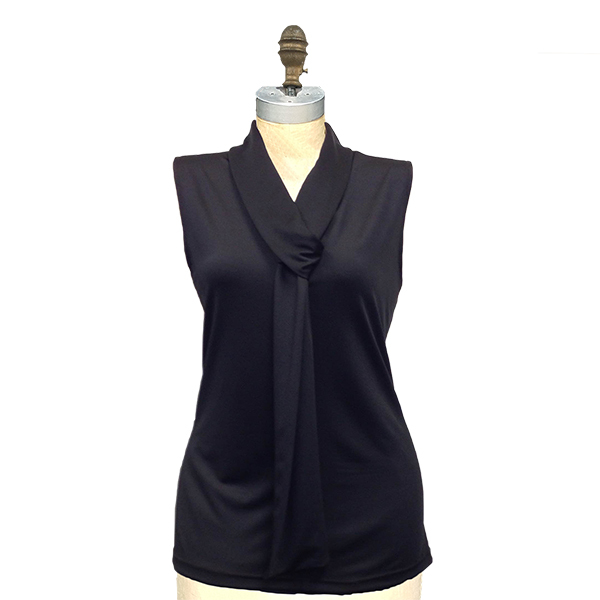 From the Better Blouse Collection, The Brianne Blouse is a sleeveless shell with comfortable 2-way stretch. 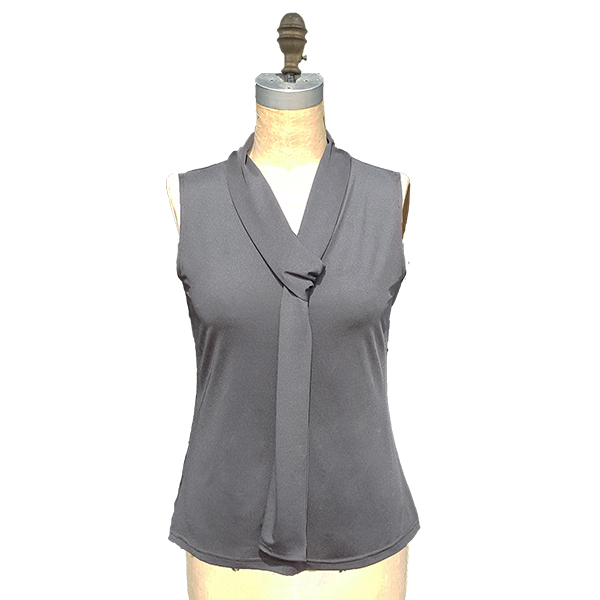 One of the choices from our mini-collection of mix and match sleeveless tops including the Antoinette Blouse and the Cammy. 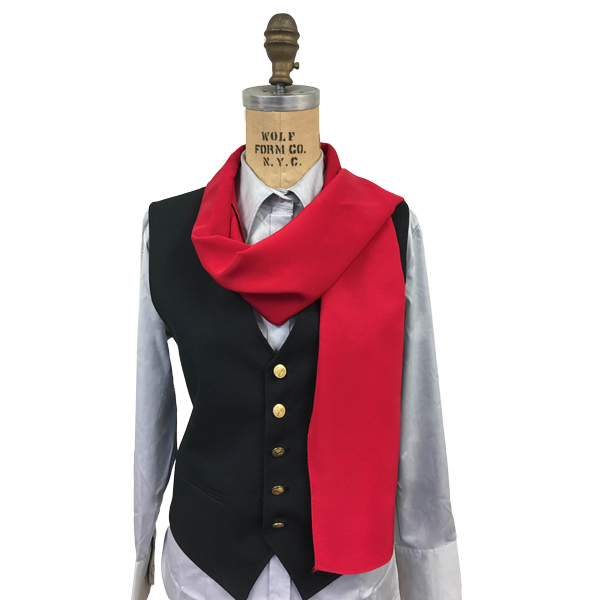 The Brianne Bow Blouse has a flattering feminine silhouette featuring a straight hem with an attached soft collar-sash that forms a loose tie in the front. 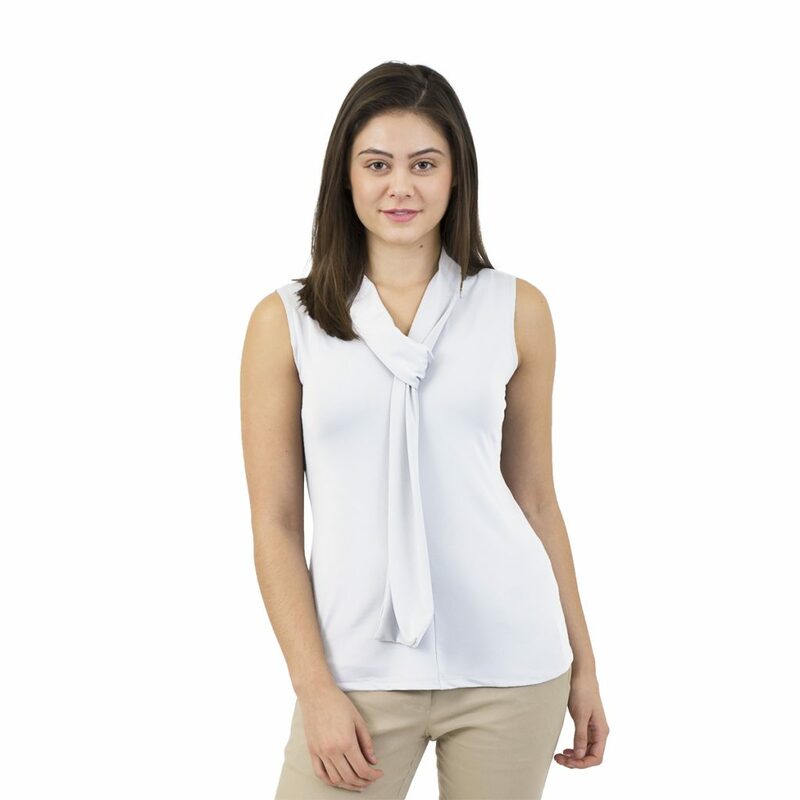 Worn tucked in or out, this blouse is a flattering addition to any uniform program. 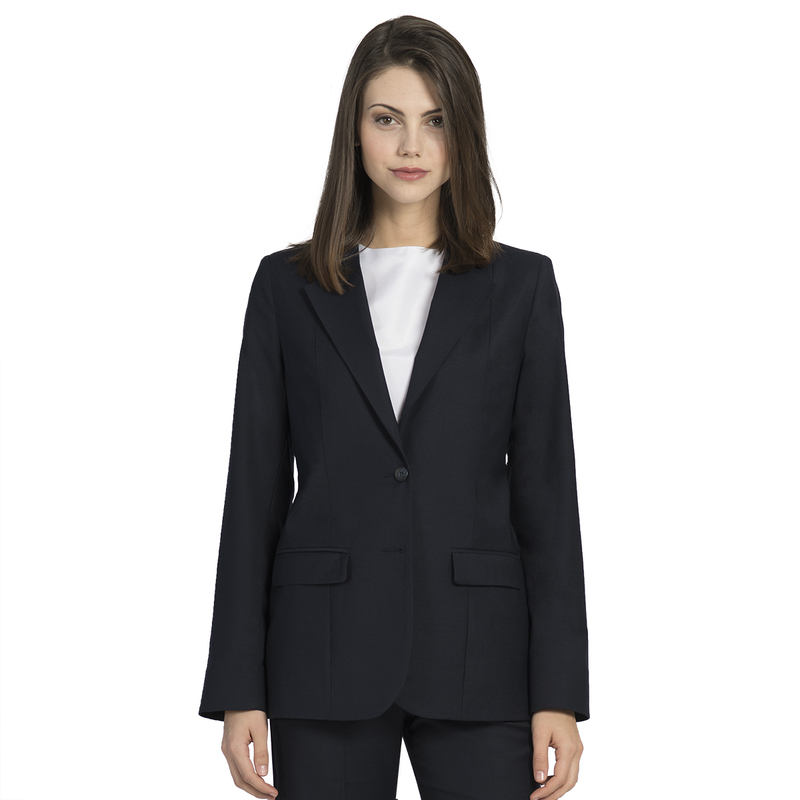 Our sleeveless designs can be worn comfortably under any blazer. With 3 sophisticated colors your buyer will find it easy to put together a stunning uniform program that has a bit of variety. 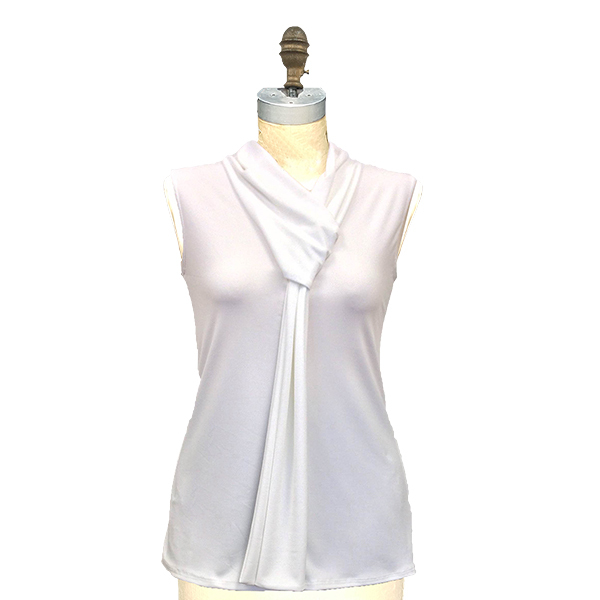 And 2-way stretch combined with the convenience of machine washability make this blouse a perfect choice for large programs. 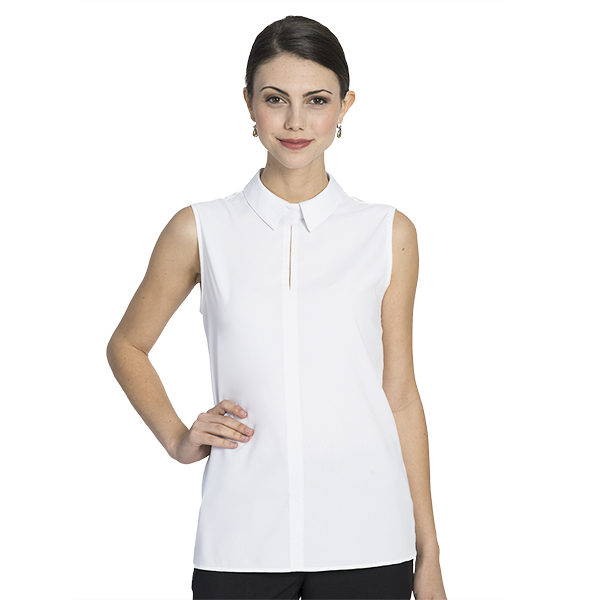 Show the mini-collection including The Brianne Bow Blouse, The Antoinette and The Cammy Sleeveless Tops to your next women’s uniform buyer. Tags: black, blouse, Bow, polyspandex, silky, silver gray, sleeveless, trendy, white.